Charles Rooking Carter Awards – Celebrating Carterton’s Coolest People! Visit our Charles Rooking Carter page. 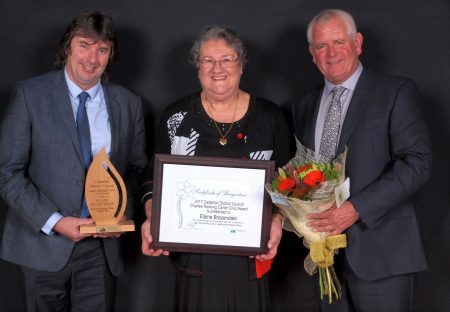 The Charles Rooking Carter Community Awards was created by the Carterton District Council in 1994 to publicly acknowledge and celebrate the outstanding volunteer work, business innovation and achievements of members in the community. The Awards are named after Charles Rooking Carter who was a strong advocate for Wairarapa settlers and was instrumental in developing many public services in Carterton including the library, an astronomical observatory, cemetery, post office, court-house and police station. His most notable gifts to the town were the Carter Home for aged men, now known as Carter Court, and the Carter Reserve, an area of native bushland. To date, over 130 Charles Rooking Carter Community awards have been given to people who generously provide time, passion and commitment to making Carterton a caring and thriving place to live.